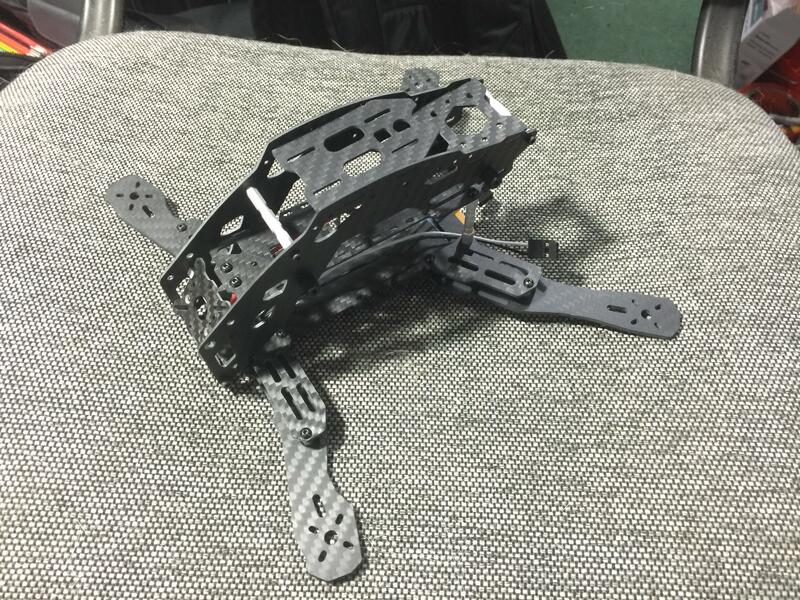 Building 250 FPV Racer w/ SeeMeFPV Motors! Not much to say yet, I've assembled a frame (the Tarot TL250H from BangGood) and I've strapped some gorgeous SeeMeFPV 1806 motors to it. The rest of the build will have a Naze32 V6, Arris power distro board, DYS mini ESC's, and a TBD video camera and transmitter (open to suggestions, if you have any). Here she is, so far! 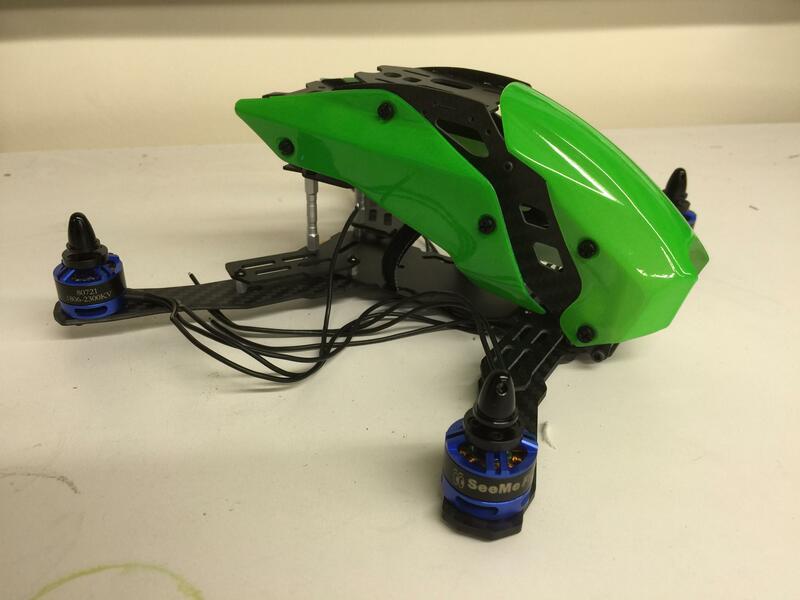 Re: Building 250 FPV Racer w/ SeeMeFPV Motors! Ditch the spinners and use nyloc nuts to hold your props on. Those spinners are usually horribly unbalanced and don't stay on. Well done sir! It looks awesome. Looks like lots of room inside for all sorts of goodies. Also build light, light is might at this size. Yep, she'll be bare bones and lightweight to try and make up for the extra frame bits. That'll make me more agile, make a battery last longer, and also put less inertia into the crashes. I'm going to solder up the naze board with only the headers that I plan to use, I'll crimp my own exact length servo wires, the motors will solder directly to the ESC's, etc. I'm also thinking about taking my receiver out of its case to make that lighter. For the VTX, I've got a 10cm SMA extension cable with a 90deg bulkhead on one end, but I haven't mocked it all up to see if the length is appropriate yet. I'll probably end up with my own RF connectors and making that custom length as well. 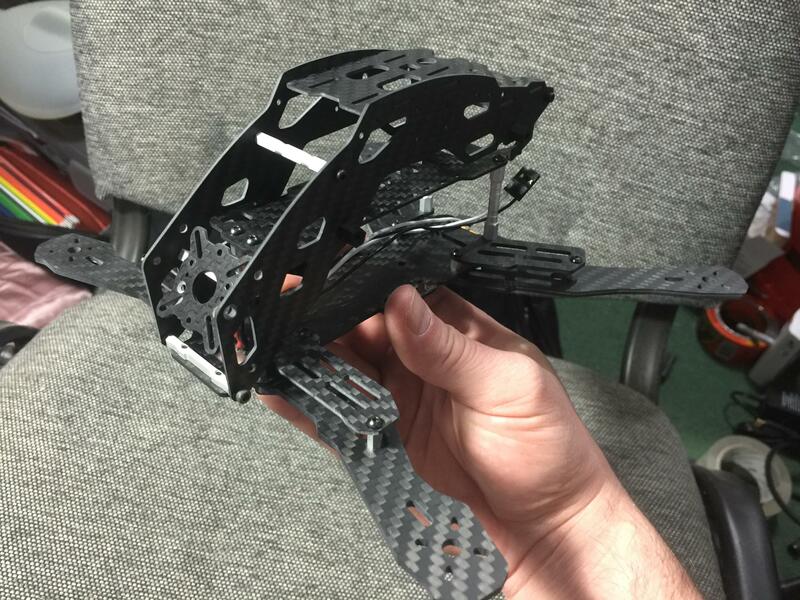 I've got a printed frame in the works that I hope to be flying in the spring, but this frame is just to get some of the components I've got sitting around up in the air quickly. Great job Jim and we gotta see it fly! I was just in here browsing and noticed your build. Have you had the opportunity to finish your build and have you flown it? If so, would you please share your experience. 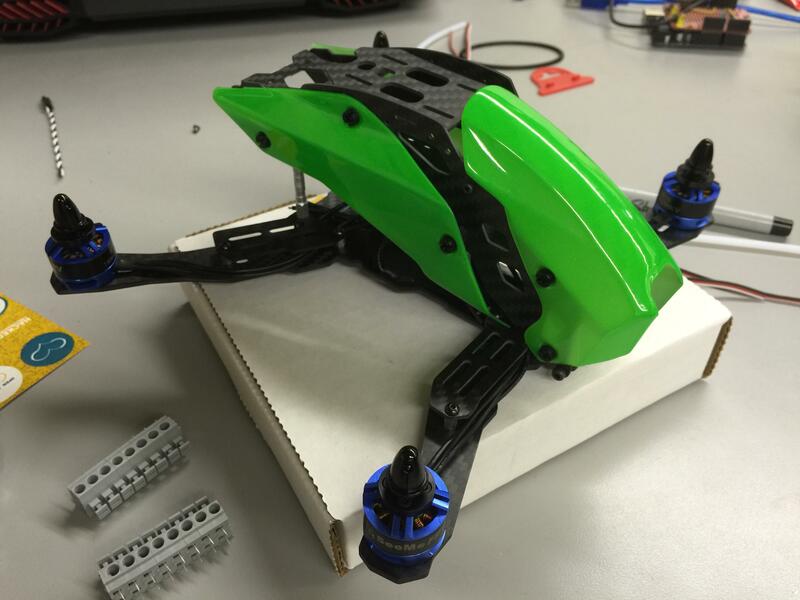 I am in the process of looking to build a Tri or Quad-copter and I have the SeeMeFPV motor package. 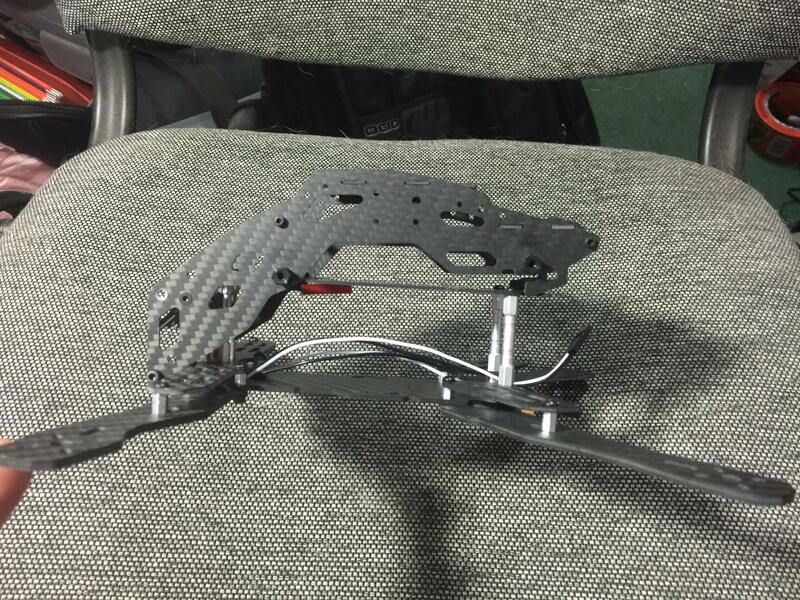 Currently I build an Race FPV Quads. I have a problem when it comes to RC stuff.I buy to much . I have and race Two 210 size, one 190 size, One 130 size (fastest) and a tiny Whoop with updated motors . I do own two sets of goggles, one set is Fatshark V3 dominators with laforge diversity and the others are Skyzones v3 . Its very hard to find the correct info out there today to help you make a good choice on the best equipt to buy. This helps so you can be a little more future proof and say on the front of the wave . My newest thing I am doing is making 5.8ghz antennas for the video link . I have had really good luck in the ones I have made so far for my buddies and myself. The more you fly the easier it gets .. FesterFPV . My newest thing I am doing is making 5.8ghz antennas for the video link . I have had really good luck in the ones I have made so far for my buddies and myself. The more you fly the easier it gets .. FesterFPV . I'd be curious to know more about your Tiny Whoop. I've been thinking about buying or building one, but haven't picked out the parts yet. I'd love to hear your recommendation. Obviously, I can print a frame if needed, so the electronics are the bigger unknown. How are you building your antennas? Are you printing a form to bend them on?